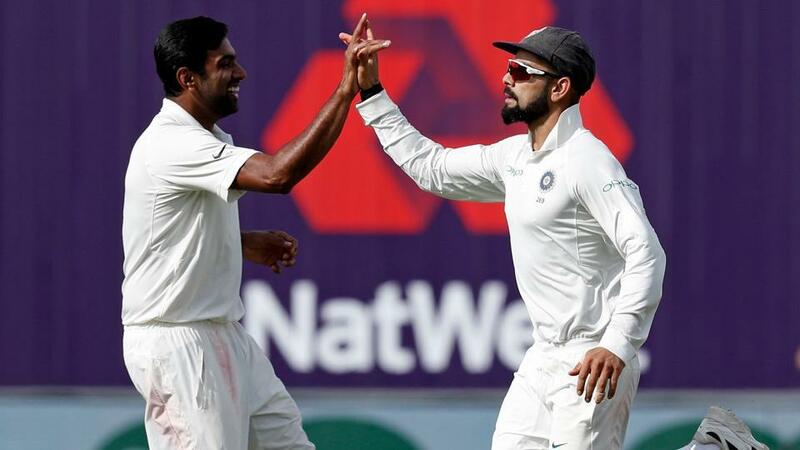 Visitors India finished on the strong note at the end of the day one of the first Test of five-match Test series against the hosts England at Edgbaston (Birmingham). At the end of the day, the hosts were batting on 285/9. English skipper Joe Root decided to bat first after winning the toss. After losing the opener Alastair Cook (13) in the opening hour, another opener Keaton Jennings put a 72-run partnership for the second wicket along with the skipper Joe Root. At the early period of the second session, England lost two batsmen Jennings (42) and Dawid Malan (8). After that, Root and wicketkeeper-batsman Jonny Bairstow put a crucial 104-run partnership for the fourth wicket where both completed their respective half-centuries. However, the third session didn’t run on the strong path for the hosts. Once, that fourth-wicket partnership was broken, their wickets were falling in very short distances. While Root was run out for 80 runs (9 fours) and Bairstow was bowled on 70 (9 fours), none of the other English batsmen reached the 30-run mark. Ben Stokes scored 21 and Sam Curran is not out on 24 while in-form Jos Buttler was dismissed for a duck. 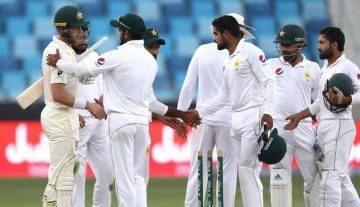 Adil Rashid (13) and Stuart Broad (1) were also dismissed cheaply while James Anderson remained not out at the end of the day without opening his account. Indian off-spinner Ravichandran Ashwin dominated the day from the beginning and ended the day with the figure of 25-7-60-4. Also, Mohammed Shami (2/64) picked up two wickets while Umesh Yadav (1/56) and Ishant Sharma (1/46) shared a wicket each. English skipper Joe Root (6,040 runs at the end of the day) completed 6,000 Test runs. 15th England batsman to achieve this feat. Also, he is quickest from debut to achieve this feat as he took to reach 6,000 Test runs only in 2,058 days from his Test debut. The previous record holder was Alastair Cook (England) who had achieved that feat in 2,168 days. 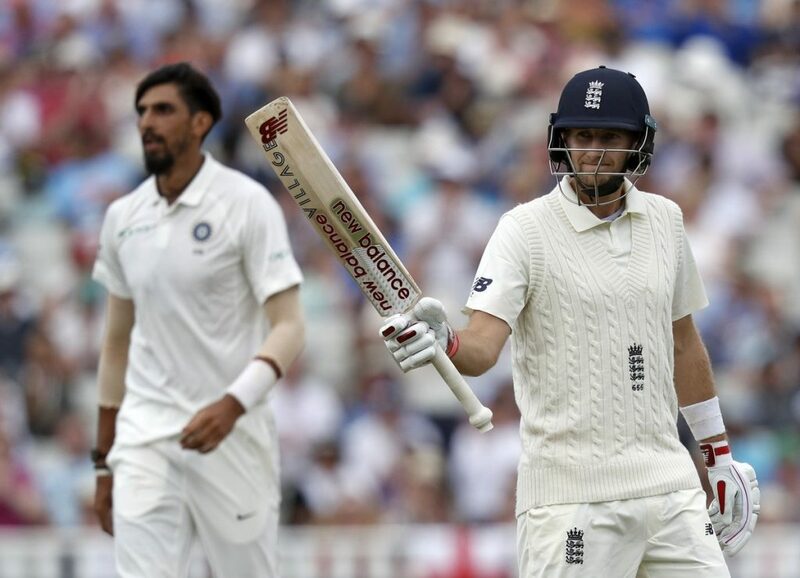 English skipper Joe Root scored his 12th Test 50+ knock against India in 20 innings (12 matches). Till the date, Root has played at least one 50+ knock in each Test against India. English skipper Joe Root was run out on 80 runs. Only second English skipper to run out against India in a Test innings. The first skipper was Alastair Cook (190) at Kolkata in 2012. Indian off-spinner Ravichandran Ashwin had a bowling figure of 25-7-60-4. Ashwin becomes the first Indian spinner to take more than three wickets on the day 1 of any Test match on the England soil.